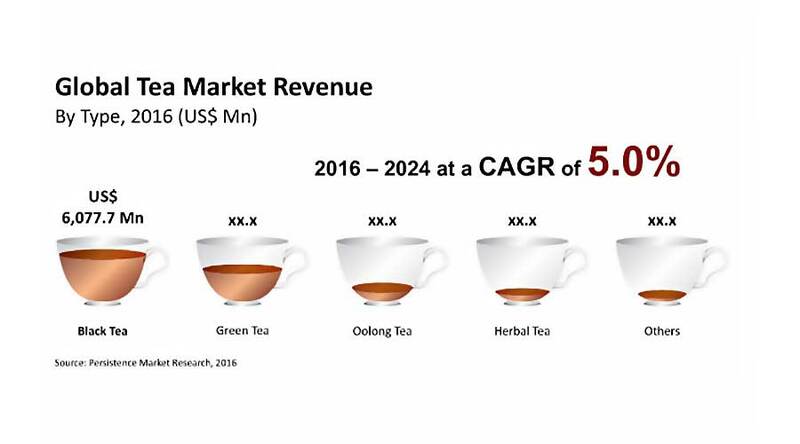 The latest report published by Persistence Market Research (PMR) reveals that the global market for tea is expected to expand at 5% CAGR between 2016 and 2024, reaching a valuation of US$ 21.33 Billion. In 2016, the market was valued at US$ 14.45 Billion. 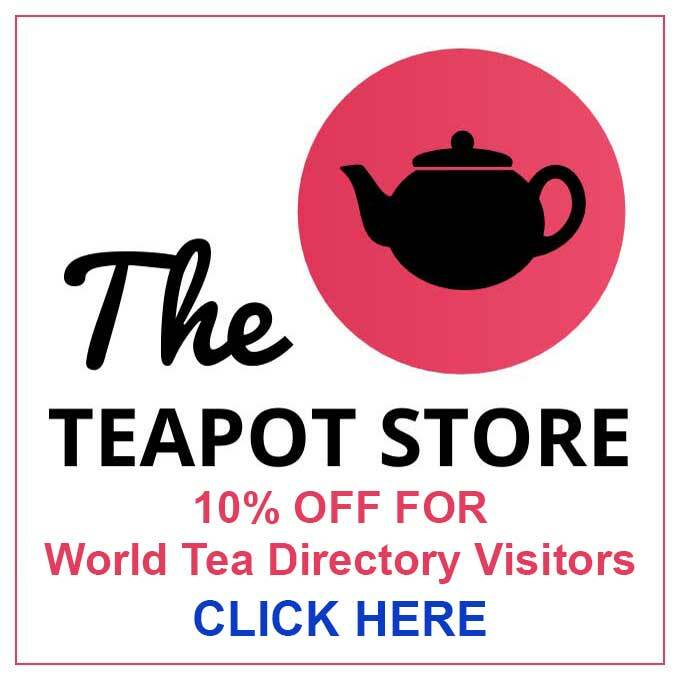 Increasing consumer awareness on staying fit and healthy and percolating idea of people to have more human interaction and mental relaxation is expected to fuel the demand for tea-specific retail outlets over the next few years. Thereby, growing popularity of tea lounge culture, particularly in regions such as Asia Pacific and Americas will sustain the market growth during the forecast period. 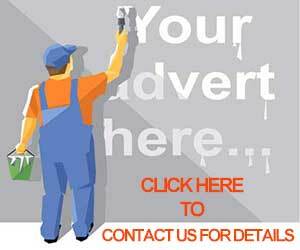 Aggressive advertising and promotional campaigns by tea manufacturers highlighting the several health benefits of daily tea consumption is partly responsible for the recent expansion of the market. 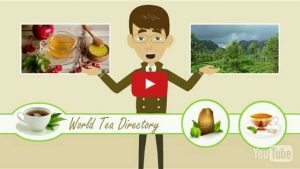 In addition, brands are implementing various market strategies aimed to spread awareness and create knowledge about healthy properties present in tea. • By type, black tea is expected to continue as the predominant segment of the market during the forecast period. In terms of revenue, the segment is projected to account for the highest share of the market. Whereas, green tea will emerge as the second largest segment over 2024. • Based on distribution channel, the hyper/supermarket segment is projected to witness healthy growth attributed to the expanding pool of tea consumers coupled with easy availability of various tea blends and flavors in these markets. Young adults have a higher indulgence in beverage culture in both developing and developed countries, which is an underlining growth factor of the market. In 2016, the market in North America commanded for a relatively higher share of the market, followed by Europe and Asia Pacific respectively. By the end of 2024, the region is estimated to gain around 210 BPS and is likely to account for over 37% share of the global market revenue. Amongst other key regions, Asia Pacific will witness a healthy growth of its market over the forecast period owing to rising consumer preference for non-GMO ingredients. Further, countries such as China and India are projected to present strong demand for tea throughout the forecast period. Key stakeholders in the global market for tea includes DAVIDs TEA, Starbucks Corporation, Associated British Foods, Akbar Brothers Ltd, Tata Global Beverages (Tata Tea Ltd.), Nestlé S.A, Unilever, The Republic of Tea, WISSOTZKY TEA. Most of these companies are concentrating on further expansion of product line and offering to meet consumer expectations.